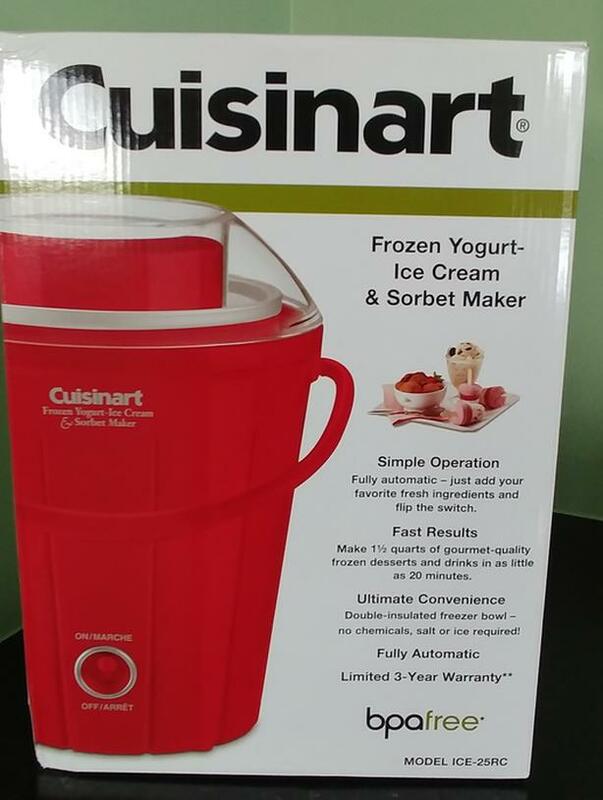 Fully automatic, this frozen dessert maker requires only the addition of fresh ingredients and the flip of a switch to make 1 1/2 quarts of ice cream, frozen yogurt, sorbet, or frozen drinks - ready in as little as 20 minutes! Never used. Amazon selling for $69.99 plus tax ($80). Asking $55 or best offer. Can meet in central Ottawa, Ottawa South or Hull area.